Do you have a dish that evokes nostalgic memories from childhood? I am sure you do and more than one at that. I have such dishes too which brings out those long forgotten memories, bitter sweet as they remind you so much of the time that will never come back. It’s strange right, how we wish to grow fast, get on to college and start working, only to realize you miss those carefree childhood days! Well it was same with me as well. I could hardly wait to grow up and then was thinking college will be The thing. Anyway these Bread Rolls were not from college, much before that. It dates back to my school days. I had this best friend V and this dish was something I tasted first at her place. Her mom used to make this for us and I simply used to love it. Though I would never agree anybody could cook better than my mom, I grudgingly agree that her mom makes the delicious rolls. It used to be kind of funny as I always felt that my friend wanted to treat me back for all the goodies that my mom used to make and every time I land at her place, she used to insist her mom makes this for us. We were the thickest of pals, inseparable and always together. Life is funny and strange, as things would have it, we lost touch over the years. At times when I used to ponder, I really used to wonder where she was and what she was up too. Life came to a circle when we finally got back in touch last year. It was such a wonderful moment, talking to her and knowing her family. When we finally met, it was very strange, I still think I haven’t changed much in appearance but she has, maybe a wee bit or maybe my imagination. Anyway we talk over the phone now and every time I do, I remember some incident or the other. Life always moves in circles. One fine day I suddenly remembered that I always regretted not knowing how her mom made these Bread rolls. She said it was a very simple recipe and told me how she does. I always knew this is how she might have made, because Amma has been making this for some years now. Yet I remembered it tasted so different. While the rolls that I remember my friend’s mom made as big oval shaped, Amma makes them small and round. The last time we made it, I never got around eating another piece. So I had to make this again when I thought of Mini bites. These are quick to disappear and a great way to use stale bread plus make your kid eat some vegetables. This entry goes to Champa who has taken up hosting Kid’s Delight for this month. She is asking us to make all entries in mini size. Since this dish is perfect for that theme, I am sending her this. Check out her Announcement she did calling all Mini Bites to land her blog, she is doing a running Round up too..
Wash and chop potatoes, carrots into small pieces. Microwave for 5 mins. Else pressure cook. Keep aside. Heat a non stick pan with oil, saute onions till they turn colour, add chili paste, then add finely chopped tomatoes. When they start turning mushy add all the spices and mix well. The mix has to be dry, so simmer for couple of mins. then add the cooked vegetables. Adjust salt if required. Allow to cool. Meanwhile for the outer cover, trim the sides of the bread. Soak in water and squeeze out the water well. The bread might still be wet. Spoon some stuffing in the middle and cover on all sides. Roll between your fingers to make sure it forms a tight ball. If needed you can roll it over bread crumbs. Else you can simply fry like that. Normally for such dishes to be deep fried, it’s always good to start with less oil. So heat a pan with just about 2 – 3 tbsp of oil and shallow fry these balls. Cook on all sides and drain on a kitchen towel. We are starting the Blogging Marathon #6 today and I have about 14 bloggers doing the first group with me. New change in the Blogging Marathon is that I have finally created a page for the group. Check out the Blogging Marathon page for details on the participating bloggers. We have some very interesting themes and a twist too. Will let you know about it soon. Do share your memories of such dishes, will be interesting to read them. 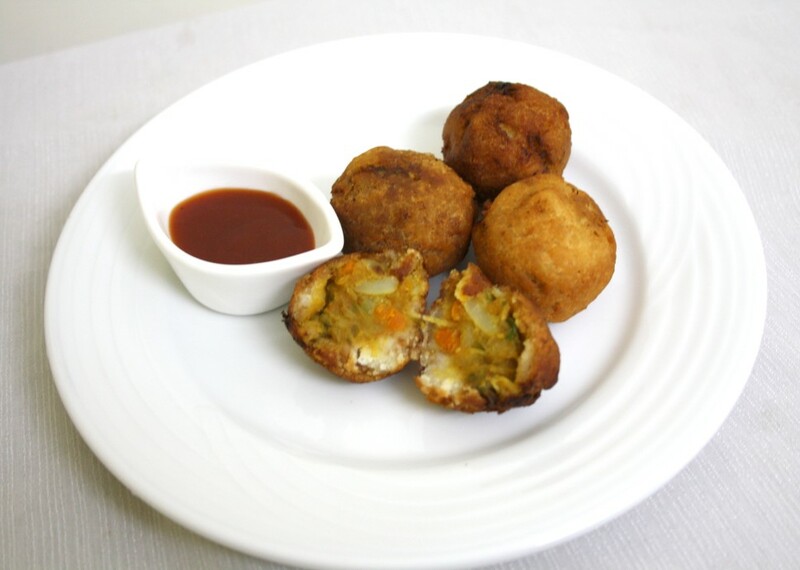 Seriously am drooling over that crispy bread rolls, delicious and tempting..
We call this bread bonda and it is usually made for engagements or other family functions in our circles! I have never prepared these at home so far..Good one! OMG… What a tempting recipe.. lovely presentation dear.. I remember eating these at birthday parties as a kid!! The memories..good old memories..I loved the way you presented.Tempting and awesome bread rolls.. Bread rolls looks delicious…Loved reading the memories associated with these. My MIL shapes it in triangles and shallow fries them. Good start to the series. I remember this snack too…..reminds me that's it has been too long since I ate it. You have kindled my memories Srivalli..my mom used to make this for us and we enjoyed it each time. Perfect snack for kids .. love it. We had this in Lil Angels school canteen when we took her for her interview in Jan.Since she loved it there, I prepared it at home so that I can see if she would like this for her snack box.She did like it and I have to make this for her once she starts school. This post is in my drafts and you reminded me to post it. The bread rolls are looking so special here. THese are my childhood favorite too, i fondly remember my mom making these for us when we used to come back home after exams, we used to get this as treat frm here. Loved ur idea of making mini bites for little ones. There is always so much to leran frm your site and recipes…have a great day and weeks ahead,Regards, Sonia! They looks delicious dear. I am sure you made your Mom proud ! superb valli. Looks so crispy and nice. Hummm Iam planing this for my next week. tempting recipe…. 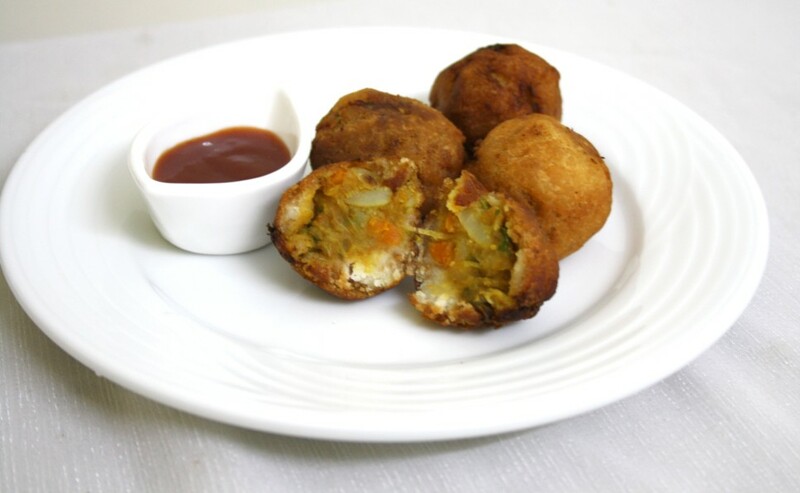 Valli thats superb..infact doesnt look like bread rolls more looks like Potato bonda..